Ruth Little is a theatre and dance dramaturg, a teacher and writer. She lectured in English literature at the University of Sydney, and was literary manager at Out of Joint, Soho Theatre and the Royal Court. 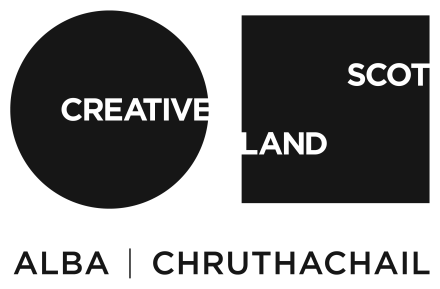 She was artistic associate at the Young Vic and associate director of Cape Farewell, where she led and curated a series of expeditions, commissions and community projects across the Western and Northern Isles of Scotland. She has been dramaturg for Akram Khan Company since 2010 (Gnosis, Vertical Road, Desh, iTMOi, Dust, Until the Lions, Giselle, Xenos). In 2016-17 she was Festival Navigator for Perth International Arts Festival. She was dramaturg for Sidi Larbi Cherkaoui/Nick Cave’s Shell Shock (La Monnaie/De Munt), Jonathan Watkins’ Kes (Sheffield Theatres) and 1984 (Northern Ballet), Simon Beaufoy’s The Full Monty (Sheffield Theatres), Le Patin Libre’s Vertical Influences and Threshold (Dance Umbrella, Danse Danse), English National Ballet’s Dust and Giselle. She has worked with Sadlers Wells, Spitalfields Festival, Barbican, Fuel, Siobhan Davies Dance, Charlotte Spencer Productions, Fishamble, Theatre Forum Dublin and Sky Arts, and was guest dramaturg at Banff Arts Centre 2014-2017 and ran Banff’s first Dramaturgy for Dance programme in 2018. In 2016 she was guest editor of Dance Umbrella’s Definite Article and presented the Dance Umbrella Lecture in 2018. Publications include The Young Vic Book, The Royal Court Theatre Inside Out (with Emily McLaughlin), ‘The Slow Art of Contemporary Expedition: Islandings’, ‘Art, Place, Climate: Situated Ethics’, ‘Testimony: art for the sake of place’. Ruth has a long association with Cove Park, having worked here in support of many artists and projects, and serving as a trustee over a number of years.